Come on Dan, the number 1 can signify a bracelet. Just because he finished third in the main event doesn’t mean the kid is without a bracelet. He won the $10,000 Pot Limit Omaha event this year to collect his first bracelet. 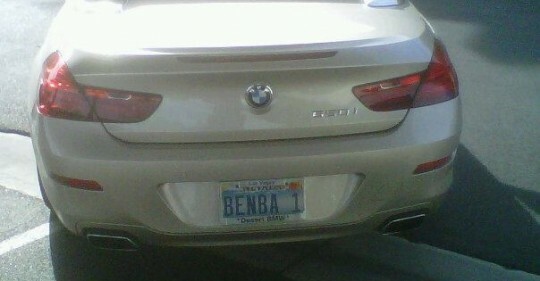 We will have to see if Benba 2 shows up after he wins a 2nd bracelet in the future. He also bought a CL65 AMG after this car. And the 1 does represent a bracelet, The $10k PLO bracelet.